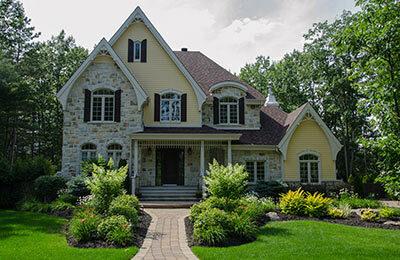 Some homeowners live in their “Dream Home”, yet neglect to add landscaping into their budget. When you have equity in your home, it is a powerful, cost-effective tool that can be used for almost anything, like a new vehicle, home repairs, or sprucing up your backyard patio. Don’t worry if you want a HELOC loan and your mortgage loan is at another financial institution. You can still apply for your HELOC loan at Crossroads Bank. A Home Equity Line of Credit (HELOC) is a powerful tool with unbelievable rates. Our HELOC is smart money management and then some. First, it offers a cost-effective way to use the value of your home to pay for major purchases NOW! You may even be able to borrow up to 90% of your home’s value. Then, you can use this line of credit for anything — debt consolidation, home improvements, college, or that dream vacation you’ve longed to take. Please stop by and pick up an application at any of our branches!